Round or Rectangle? That's one of the things I've been thinking about for a while now. Our apartments is still pending decor and some personal touches right now. So, in the mean time I've been collecting ideas of what I envision for each room. Considering the size of the space we have and all things i want to put in there, I'll just have to compromise somewhere. My way of getting away with it without the space looking cluttered while still satisfying my needs/wants is to find Multifunctional pieces. Anyways, this post is not intended to talk about my ideas for the whole apartment, i will share that later. It is however about the space for the dinning set. 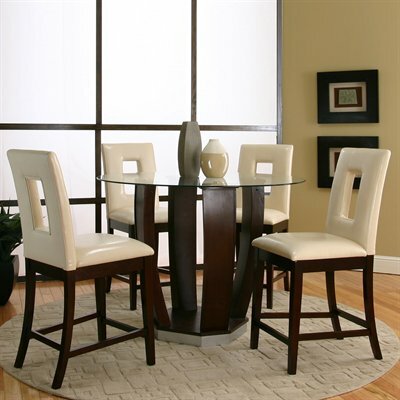 There are so many shapes and sizes for dinning tables, but i have to find the right one that meets our needs and the most importantly fit the space. Currently the designated area for the dinning set has been marked with an awkwardly placed chandelier overhead lighting. 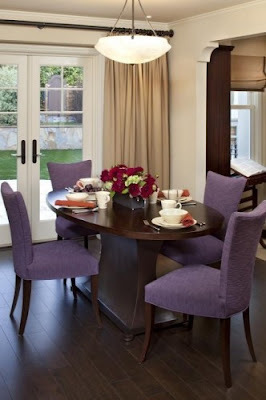 I say it's awkwardly placed because the light fixture will never be located at the center of the dinning set. If i was to make that happen, it would be a waste of space and eating into free moving space. We have this "open concept" layout, where the kitchen, living and dinning are all in one area. 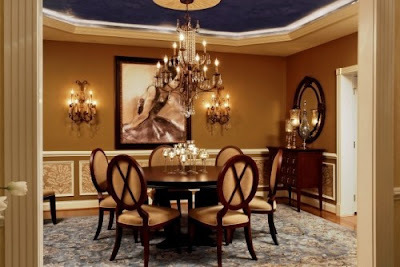 So, to make a good use of this space the dinning set has to be position close to the wall and not in the middle of the room, like the person who installed the light fixture was thinking. 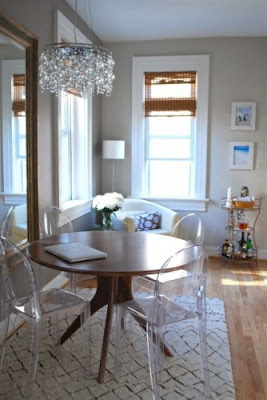 I knew right from the beginning i didn't want a square shaped dinning table, it just looks funky and not so stylish. My opinion. So it's either going to be rectangular or circular in shape. 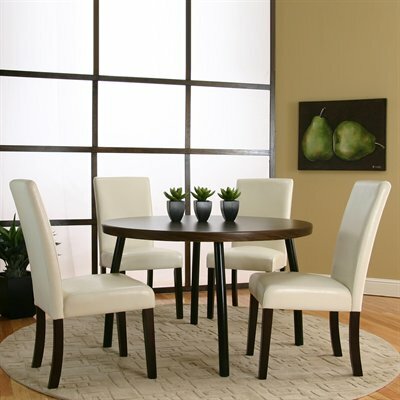 Well, after reading an article on Houzz on how to choose the right dinning table based on the looks, the fit for your space and your need for seating, I've finally decided to go with a round table. I fell like the ideal rectangular table will take up more space and almost everything else that is or will be in the living area are all rectangular, so why not try something different. We only need four seats, i can't imaging fitting more than that in that spaces and it's only the two of us anyways, except when we have visitors of course. Seating is not an issue in our apartment, we currently have a sofa and a couple of bar stools for the breakfast area and i plan on getting two arm chairs later. So, worse comes to worse when and if we have that many people in our apartment that we don't have enough seating, they'll just have to seat on the floor. Lol! I leave you with some pictures that made my decision to go round easier.